Bluetooth headsets have become ubiquitous, and as more smartphone makers eliminate headphone jacks from their designs, the market for wireless audio is only going to grow more crowded. Whether you’re looking for a Bluetooth headset primarily designed for phone calls, headphones intended for listening to music, or a rugged headset made for exercise and outdoor use, our team looked at dozens of models to figure out which headsets deliver the best performance, reliability, and audio quality in each of these applications. Read more about our methodology. Our top pick Bluetooth headset provides high-fidelity sound, comfortable cushioning for all-day use, a long battery life, and an integrated microphone that makes it easy to switch between listening to music and making phone calls. Our budget pick offers sound quality that matches Bluetooth headphones at much higher price points, in a comfortable and easy-to-use package. You’d be hard-pressed to find a headset that beats these on both audio quality and noise cancellation at this price. If you’re mostly looking for a Bluetooth device to make and receive phone calls, this ultra-portable device offers the best sound quality and value, as well as the option to pair with multiple devices, which is great if you’re using it with both work and personal phones. If you’re looking to listen to music without dropping hundreds of dollars on a pair of Bluetooth headphones, this over-ear headset provides outstanding audio at a wallet-friendly price. These headphones balance comfort and functionality, with sound quality that rivals much more expensive competitors. Whether you’re outside working, running, or hiking, these lightweight earbuds resist frequent impacts, sweat, and inclement weather. They also offer great sound quality and battery life, which are both excellent if you’re taking a long run or spending the day outside. Audio Quality. Bluetooth technology has improved over the past few years, as has the ability to wirelessly deliver high-fidelity audio. In any application, you’ll want a Bluetooth headset that delivers crisp and clear sound for both phone conversations and music. Comfort. Whether you’re using a Bluetooth headset for phone calls or listening to music, chances are you’ll be wearing one for some time. There are many styles of Bluetooth headsets on the market, and we’ve found several that will stay comfortable on your ears (or in them), even when you’re using it all day. Connectivity and Reliability. If your headset is constantly dropping calls or audio, you’ll have to spend a lot of time pairing and reconnecting it to your smartphone. We looked for Bluetooth headsets that are both easy to pair and won’t suddenly lose their connection, so you can listen to music or have a conversation without interruptions. Battery Life. Streaming audio over Bluetooth can quickly eat up a headset’s charge, so you’ll want a headset with a long battery life and a quick recharge. This is particularly important if you’re looking for a headset for all-day use or a long commute. Design and Dependability. Bluetooth headsets have to deal with a lot of wear and tear: anything from sudden inclement weather to frequently being tossed into a bag can seriously impact performance and the life of your headset. Our picks for rugged Bluetooth headsets deal with these issues particularly well, but in any category you still want a device that can withstand daily use. 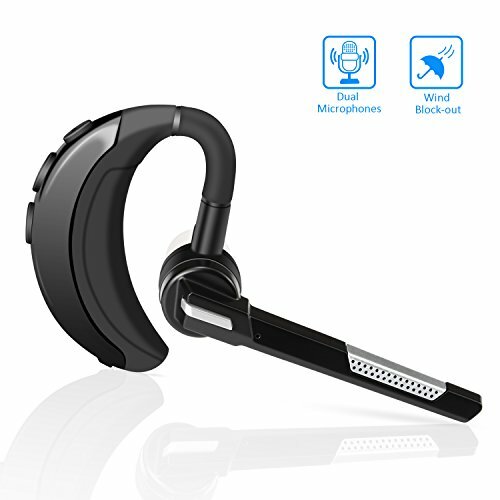 Bluetooth headsets are widely varied in price and quality. At the lowest end, you have earpieces that can cost under $20, as well as basic headphones in the $20 range. High-end Bluetooth headsets can cost hundreds of dollars, and usually offer sound quality on par with wired headphones in the same price range. That said, there are plenty of lower-end headphones with exceptional sound quality and all of the features typical users will need. The majority of Bluetooth headsets, especially those geared toward listening to music, cost between $50 and $100. In the $70-$80 range, most Bluetooth headphones will offer clear audio, reliable connectivity, and features like noise-canceling technology. In this price range, you may find that the main differences between models are aesthetic. 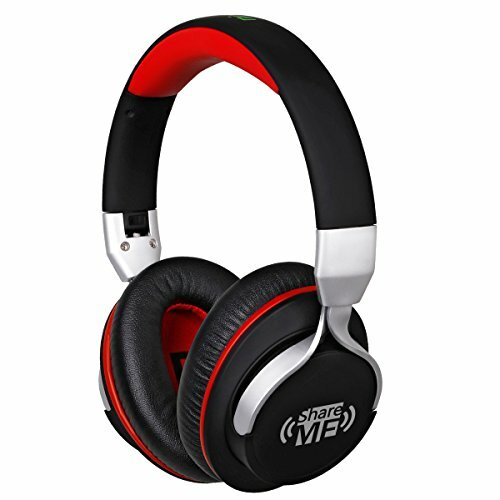 The FX-Victoria Over-Ear Bluetooth Headphones offer outstanding features, especially for their price point. They’re comfortable enough to wear all day, easy to connect, and provide high-quality sound when listening to music and making phone calls. The integrated microphone is particularly useful, and it’s very simple to switch between functions. We also like how portable they are: they fold easily for travel, and won’t get damaged in a backpack or purse. All-Around Performance. These headphones are great if you’re planning to both listen to music and make phone calls. It’s also easy to switch between these two applications, which is great if you’re wearing them all day and need both functions frequently. Comfortable Cushioning. These headphones are designed for long-term comfort, with generous cushioning that rests securely on your ears without causing overheating or soreness. Long Battery Life. The latest model of the FX-Victoria headset significantly improves on the previous generation’s battery life, which means you can listen to music throughout the day or make long phone calls without worrying about power loss. Easy to Pair. This headset is easy to connect to devices across brands. It only takes a few seconds to pair, and has a very stable connection for interruption-free listening and calling. Microphone Picks Up Background Noise. One major drawback of the FX-Victoria headset is the microphone sensitivity: while it does work well for making phone calls in a quiet room, you will run into some issues if there’s a lot of background noise or wind. Tight Fit. These headphones aren’t very large, so some users may find that they need a headset that’s better suited for medium and larger head sizes. The G-Cord Adjustable Bluetooth Wireless Headphones would be incredible if they cost twice as much, but at this price point they’re a steal. The sound quality is way beyond other models in this price range, and these easy-to-use headphones also offer great features like noise-canceling technology. Amazing Audio Quality. The biggest selling point of the G-Cord headphones is their sound quality. Phone calls are crystal clear, but this headset really shines when it comes to playing music. Noise Canceling. Most Bluetooth headsets at this price point don’t offer any kind of noise-canceling technology, but the G-Cord headphones do a good job of filtering out background noises so you can focus on your music or phone calls. Comfortable. This headset has a pretty straightforward design, with soft cushions that rest against your ears without causing any discomfort. This is especially useful if you’re using them all day. Limited Features. The G-Cord headset is pretty light on bells and whistles. There are a few control buttons on the side of the earpiece, but they don’t allow for a lot of control with every device. Not The Most Portable. One shortcoming of the simple design is that these headphones don’t travel as easily as some of their competitors. We would have loved if they folded up for safe transport. If you’re primarily planning to use your Bluetooth headset to make and receive phone calls, you probably don’t need a set of audiophile-quality headphones. Instead, you’ll want an easy-to-use device that offers excellent voice quality and won’t drop out in the middle of an important call. Most headsets in this category tend to be earbud-style models with high-fidelity microphones and speakers that ensure that you and the person on the other end of the call can easily communicate and understand one another. The G-Cord Bluetooth 4.1 Wireless Headset is perfect if you’re mainly looking for a way to keep your hands free during phone calls. It’s extremely portable and easy to use while still offering great features like a noise-canceling microphone and multi-point connection so you can pair it with multiple phones, tablets, or computers. We also liked its long battery life and overall comfort and security, which are important for an in-ear device. Clear Audio. Phone calls over the G-Cord Wireless Headset are incredibly clear, with no static or loss on either end. 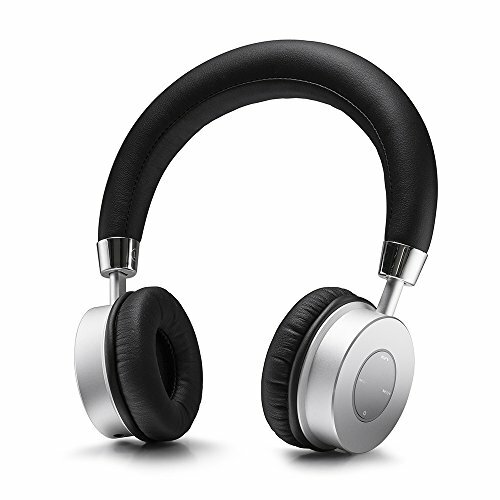 The noise cancellation feature is particularly useful, since it cuts down on wind and ambient noise. Long Battery Life. If you plan to keep your Bluetooth headset on all day, the G-Cord is ideal. It offers 180 hours of standby time and up to 8 hours of talk time, which lets you go longer between charges. Multi-Point Connection. The G-Cord’s multi-point connection is perfect for users who need to toggle between work and personal phones. Instead of having to pair the device every time you switch phones, you can keep it connected. Mono Sound. The G-Cord headset is definitely not made for listening to music, so it doesn’t offer the stereo sound that you might find in headphone-style models. If you’re only using it for phone calls, this isn’t much of an issue, but some users may find this aspect limiting. Small Controls. One potential issue with the G-Cord Wireless Headset is that its controls are relatively small. This can make them difficult to use, especially if you have larger hands or are trying to quickly operate the headset. This NEXGADGET Bluetooth headset is lightweight and comfortable enough to wear all day, and includes several excellent features for making phone calls. We particularly liked the wind noise reduction, mute function, and crisp, clear audio quality. It connects very easily, quickly adapts for either ear, and works for hours on a single charge, which makes it perfect for phone calls while you’re commuting or when your hands are occupied. Clear Calls. The dual-microphone on the NEXGADGET headset is perfect for phone calls. It doesn’t produce the static or “tunnel” sounds that plague many similar models, and the wind noise reduction technology keeps things clear if you’re talking with the windows down. Lightweight and Comfortable. Since they’re designed to stay in your ear throughout the day, comfort is really crucial in a Bluetooth headset. With its lightweight design and adjustable ear hook and mic bar, this headset stays secure and comfortable all day. Easy-to-Use Controls. The controls on this headset are very easy to use and conveniently placed. There are only a few well-sized buttons, and they’re placed behind your ear, so it’s simple to adjust the volume when you need to. Too Quiet for Media. This headset is definitely better suited to making and receiving phone calls, and you’ll probably find it too quiet for listening to music, movies, or podcasts. Short Bluetooth Range. The NEXGADGET headset advertises 10 meters of coverage, but we found that it tended to drop off when it got more than 10 feet away from the phone. While this may not be an issue for users who keep their phones nearby, users who want to leave their phone and walk around may find this headset too temperamental. 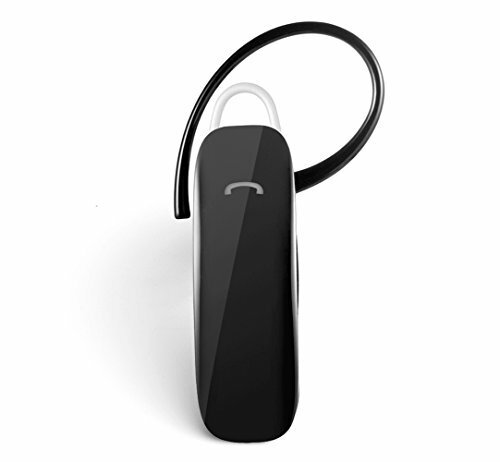 Music fans will want a Bluetooth headset that delivers full and even sound without cutting out. While you’ll generally find all-around better sound quality in a corded pair of headphones, the versatility and convenience of wireless Bluetooth headphones makes them a much better choice when you’re on the go. 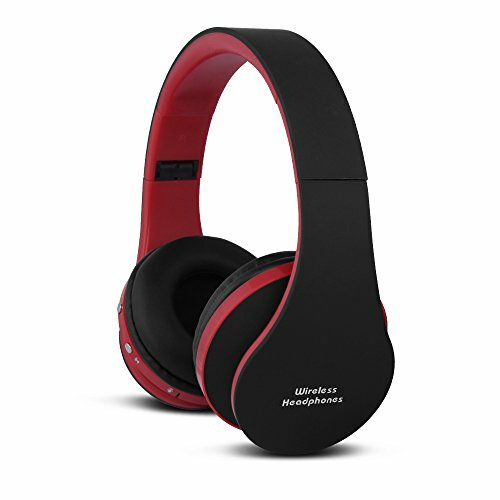 As Bluetooth technology continues to improve, many of these headphones offer audio quality that begins to rival corded headphones, with the added utility of wireless operation and a long battery life. Ghostek’s soDrop 2 Wireless Bluetooth Headphones offer audiophile-quality sound without the hefty price tag of higher-end headphone brands. With a long battery life and comfortable, cushioned ear cups, these are great if you’re planning to listen to music throughout the day. But the sound quality is really the biggest selling point for these headphones: your music will sound deep, rich, and full, while noise reduction technology helps filter out interruptions. Incredible Sound Quality. If you’re an audiophile, you’d be hard-pressed to find a headset with better sound quality than the Ghostek soDrop 2, especially at this price point. Across genres, music comes through with rich, balanced sound. Long Battery Life. 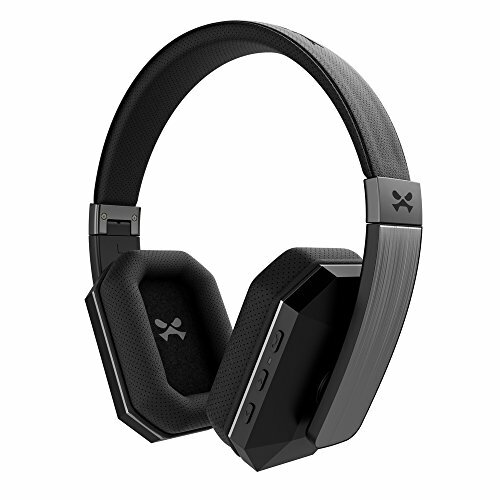 The Ghostek headset is clearly designed for all-day listening, with a powerful battery that offers 14 hours of play and 540 hours of standby time. This allows you to go a long time between charges. Comfortable Design. We really loved how comfortable this headset is, with padded ear cups that don’t press too hard and padding that keeps the top of your head cushioned, even over the course of a full day. Short Bluetooth Range. The Bluetooth range seems relatively standard on these headphones (30 feet or so), but it really works best when you’re listening close to your device. At longer distances, you may run into connectivity issues. Weighted Toward Bass. On some tracks, the bass can be a little bit too strong on these headphones. While this is not true for every song, it can be disruptive when the bass suddenly overpowers the rest of the music. Noise-canceling headphones can really help when you’re trying to listen to music without interruptions from outside and ambient sounds. The HiGoing Active Noise Canceling Bluetooth headphones do a great job of filtering out some of the most common noises while also providing really clear and balanced sound. They’re also comfortable and offer a long-lasting battery, so you can rely on them for all-day listening. Noise-Canceling Technology. 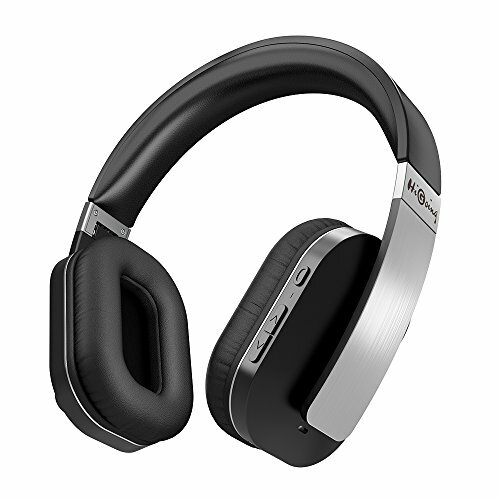 These headphones feature noise-canceling technology to filter out ambient sounds so you can hear music more clearly. It works especially well for traveling, since it effectively filters out airplane and motor vehicle noises. Balanced Sound. While the sound quality isn’t quite as high as the Ghostek soDrop 2, this headset definitely performs well when it comes to listening to music. Frequencies are well-balanced, and all of the tracks we listened to sounded clear and crisp. Comfortable Design. The entire design of the HiGoing headset seems focused on comfort, especially if you’re planning to wear it all day. The ear cups don’t press too hard or cause any sweating or pressure thanks to their padded design. Frequent Pairing. One issue we ran into the with HiGoing headset is that they frequently need to be re-paired with devices. It’s an easy enough process to pair the headphones, but it’s somewhat inconvenient to have to pair the headset with each use. Noise Canceling Doesn’t Always Work for Higher Frequencies. While the active noise canceling technology does a decent job of filtering out ambient and background sounds, it doesn’t perform as well with high-frequency sounds. This is mainly an issue if you’re trying to listen to music while people are having conversations nearby. People who spend most of their time outdoors will need a Bluetooth headset that can withstand heavy use and resist the elements. Whether you’re running, hiking, or skiing, you’ll need a pair of headphones that won’t quit due to frequent impact or jostling. If you’re looking for headphones in this category, you will probably also focus on water-resistant headsets, since sweating or sudden inclement weather can completely ruin Bluetooth devices that aren’t designed for adverse conditions and outdoor use. TaoTronic’s Bluetooth earbuds come in a variety of styles, but for users who need a more rugged design, this model’s integrated neckband keeps everything firmly in place and resists tangling. On top of that, they’re also water- and sweat-resistant, so you won’t have to worry about losing functionality during a particularly grueling day at the gym or a sudden downpour. Lightweight Design. The design of the TaoTronic earbuds is extremely lightweight, even with the added weight of the neckband. Once the earbuds are in, you’ll barely notice them, and the neckband isn’t bulky at all. Waterproof and Sweat-proof. These earbuds really shine when you’re dealing with sweat or rain. They’re highly water-resistant, which means you won’t have to worry about them shorting out in the middle of a rainstorm or active workout. Tangle-Resistant. 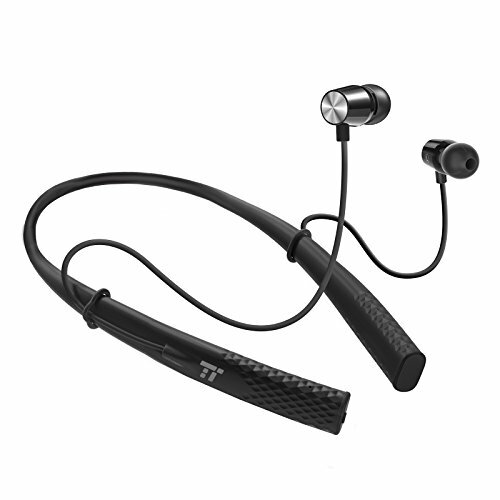 Because of the integrated neckband, the TaoTronics earbuds resist tangling. This sets them apart from many of the other Bluetooth earbuds on the market, which can get knotted up in a bag. Long Battery Life. We were particularly impressed with the TaoTronics’ long battery life. You can easily get more than 10 hours of listening time with these earbuds, which is ideal if you’re out on a long hike or working in the yard. Tricky to Properly Fit. While it’s a minor complaint, the earbuds on this headset do take some time to properly fit. They ship with 12 different earbuds, which let you get a comfortable and customized fit, but it does take some time to find the right size. Microphone is Not Great. If you’re planning to use your headset for phone conversations, this headset may not be your best bet. The microphone is somewhat temperamental, and doesn’t always pick up every word. Ausdom’s Over-the-Ear Headphones are an excellent choice if you’re looking for a headset that will withstand frequent use and resist the elements, but don’t like the look or feel of earbuds. They’re lightweight, easily foldable, and comfortable even when you’re working up a sweat. In addition, they have decent sound quality and very long battery life, which makes them a great choice to keep in your gym bag or backpack. Solid Construction. These are really well-built headphones, made of high-quality materials that won’t easily wear out. This makes them perfect for applications like exercise or working outdoors, since you won’t have to worry about damaging them. Foldable and Portable. The Ausdom headset also travels very well, with a foldable design that keeps it from getting damaged in a gym bag or backpack. The headset is also a good size for travel, since it doesn’t take up much room when it’s folded up. Multiple Device Connection. The ShareMe technology on these headphones is a really interesting feature. If you have two pairs of headphones with this functionality, two people can listen to music from a single device. Flat Sound. If you’re looking for audiophile-quality headphones, this headset probably isn’t your best bet. The sound isn’t terrible, but it is a little flat, which means certain frequencies and tones won’t come through very well. Controls are Not Intuitive. For some reason, the control buttons on this headset are placed on the underside of one of the ear cups, which seems somewhat counterintuitive. You may find yourself frequently pressing the wrong button when you’re trying to control playback.